Sector 19 Ulwe, Ulwe, Navi Mumbai. Near Bamandongri Railway Station. How Far is Aditya Krishna Classic? 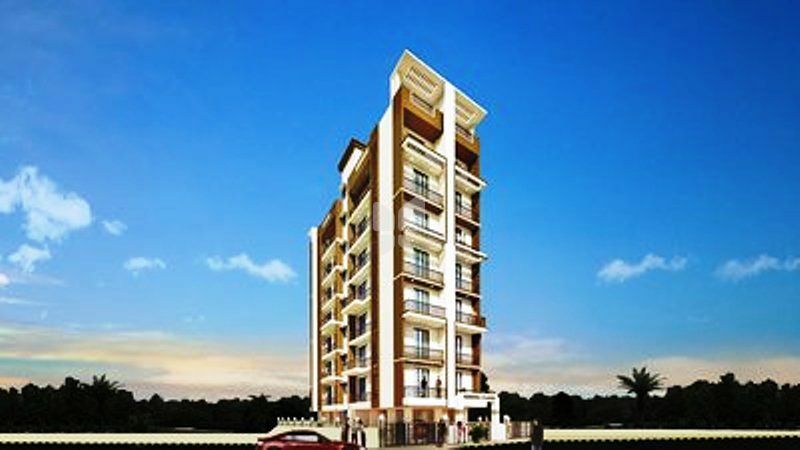 Aditya Krishna Classic is one of the residential development of Aditya Group located in Mumbai. The project offers spacious and skillfully designed 1BHK apartments well equipped with all the amenities to facilitate the needs of the residents. 2'X2' vitrified flooring in all rooms & kitchen Well designed Entrance Lobby. Granite Kitchen platform with service Platform. Ceramic tile DADO above platform upto beam level. Provision for water purifier, Mixer, Exhaust Fan, Refrigerator & Microwave Point. Digital tiles upto beam level. Anti skid tiles flooring in bath & WC. External walls with coated acrylic paint. Internal walls with POP finish & acrylic paint. Anodised aluminium sliding windows with reflective glass. Main & internal door with decorative laminate finish. Granite frame for all doors of bath & WC. Wooden door frame for all rooms. Main door with good quality night latch & decorative handle. Water proof doors for Bath & WC. Underground overhead watertank with adaquate storage capacity.